Title insurance, especially Owner's title insurance, is extremely important when purchasing a house or piece of property. Yet many consumers are unsure about what title insurance is and what it protects against. 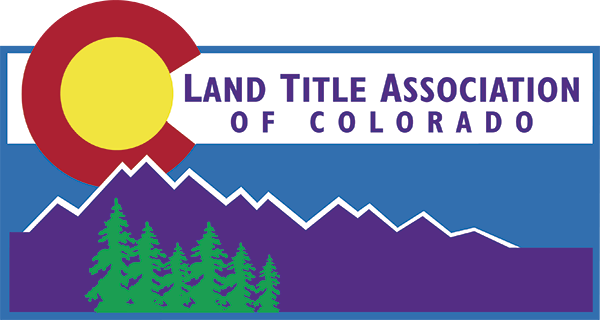 Here are some answers to the more common questions about title insurance, provided by the American Land Title Association, of which LTAC is a member. To findout even more, visit the Home Closing 101 Web site. I'm refinancing, why do I need new title insurance? I'm buying a newly built home, do I need title insurance? There are two types of title insurance: Lenders title insurance, also called a Loan Policy, and Owner's title insurance. Most lenders require a Loan Policy when they issue you a loan. The Loan Policy is usually based on the dollar amount of your loan. It protects the lender's interests in the property should a problem with the title arise. The policy amount decreases each year and eventually disappears as the loan is paid off. Owner's title insurance is usually issued in the amount of the real estate purchase. It is purchased for a one-time fee at closing and lasts as long as you or your heirs have an interest in the property. This may even be after the insured has sold the property. Only Owner's title insurance fully protects the buyer should a problem arise with the title that was not uncovered during the title search. Owner's title insurance also pays for any legal fees involved in defending a claim to your title. Prices, and the way title insurance is issued, vary from state to state. Contact a title company in your state to see how it is handled. For a list of title companies in your area, click here. Simply enter your city and state. In order to issue title insurance, the title company must search public land records for matters affecting that title. Many search the "chain" of title back 50 years. Twenty-six percent of title searches find a title problem that is fixed before the insurance is issued. Some examples of items that can cause a problem are: deeds, wills and trust that contain improper information; outstanding judgments or tax liens against the property; and easements. Title companies fix the problems then issue the title insurance. Occasionally, in spite of an exhaustive title search, hidden hazards can emerge after closing. Things such as mistakes in the public record, previously undisclosed heirs claming to own the property; or forged deeds could cloud the title. Owner's title insurance offers financial protection against these by negotiating with third-parties, and paying claims and the legal fees involved in defending the title. (NAPS) — Those involved in real estate fraud and forgery can be clever and persistent. which can spell trouble for your home purchase. In a western state, an innocent buyer purchased an attractive home site through a realty company, accepting a notarized deed from the seller. Then another couple, the trio owners of the property—who lived in another locale—suddenly appeared and initiated legal action to prove their interest in the real estate was valid. Under the owner’s title insurance policy of the innocent buyer, the title company provided a money settlement to protect against financial loss. As it turned out, the forger spent time in advance at the local court house, searching the public records to locate property with out of town owners who had been in possession for an extended period of time. The individual involved then forged and recorded a deed to a fictitious person and assumed the identity of that person before listing the property for sale to an innocent purchaser, handling moot contracts through an answering service. Also, the identity of the notary appearing on deeds was fictitious as well. Fraud and forgery are examples of hidden title hazards that can remain undetected until after a closing despite the most careful precautions. Although emphasizing risk elimination, an owner’s title insurance policy protects financially through negotiation by the insurer with third parties, payment for defending against an attack on the title as insured, and payment of valid claims. Alter purchasing a residence, the new owner was startled when a brother of the seller claimed an ownership interest and sought a substantial amount of money as his share. It seemed that their late mother had given the house to the son making the challenge, who placed the deed in his drawer without recording it at the court house. Some 20 years later, after the death of the mother, the deed was discovered and then filed. Permission was granted in probate court to remove the property from the late mother’s estate, and the brother to whom the residence initially was given sold the house. But the other brother appealed the probate court decision, claiming their mother really did not intend to give the house to his sibling. Ultimately, the appeal was upheld and the new owner faced a significant financial loss. Since the new owner had acquired owner’s title insurance upon purchasing the real estate, the title company paid the claim, along with an additional amount in legal fees incurred during the defense. (NAPS) - When buying a home, it's important to remember what you don't know can cost you. As an example illustrating the need for precautions, The American Land Title Association pointed to a couple who purchased a residence from a widow and her daughter, the only known heirs of the husband and father who died without leaving a will. Soon after the sale, a man appeared - claiming he was the son of the late owner by a former marriage. As it turned out, he indeed was the son of the deceased man. This legal heir disapproved of his father's remarriage and had vanished when the wedding took place. Nonetheless, the son was entitled to a share of the value of the home, which meant an expensive problem for the unwary couple purchasing the property. Although the absence of a will hindered discovery of the missing heir in a title search of the public records, ALTA said that owner's title insurance issued at the time of the real estate transaction would have financially protected the couple from the claim by the missing heir. For a one-time charge at closing, owner's title insurance will safeguard against problems including those even an exhaustive search will not reveal. ALTA reminded that owner's title insurance is necessary to fully protect a home buyer. Lender's title insurance, which is usually required by the mortgage lender, serves as protection only for the lending institution. Construction of a new home raises special title problems for the lender and owner. You may think you are the first owner when constructing a home on a purchased lot. However, there were most likely many prior owners of the unimproved land. A title search will uncover any existing liens and a survey will determine the boundaries of the property being purchased. In addition, the builder may have failed to pay subcontractors and suppliers. This could result in the subcontractor or supplier placing a lien on your property. Again, lenders want to be sure the property has clear title, and they are insuring the correct property. Purchasing owner's title insurance will protect you against these potential problems and pay for any legal fees involved in defending a claim.